A flow diagram has been circulated by the Basel Action Network which shows how illgal waste can move across international boundaries. That organization's concern over waste cost "externalization" is genuine. Hopefully, they will consider the advice of a fellow environmentalist with open minds. Will the computing equipment be repaired, refur­bished or upgraded in the importing country? To sell overseas, you need wholesale shipments. It's extremely difficult to know whether the end user, a buyer (such as the owner of an internet cafe) will replace an English keyboard, or upgrade a stick of RAM. The question is whether that person's decision, dictating the outcome of the part, is "generation" (the waste is generated in the buyer's country of possession) or whether the original USA exporter is the generator. It's not just the disposal of small upgraded parts like capacitors, keyboards, and RAM sticks that make "elective generation" a challenging question. If I live in Singapore, and I buy a used PC, and I decide to throw the whole thing away, who is the generator? What if human error occurs at retail store in Bangladesh? Was the "e-waste" generated in Bangladesh, or by the person who originally owned the monitor? If the latter, perhaps "no intact unit" is indeed the logical outcome of strictest Basel interpretations. WR3A believes that communication, standards, and reconciliation of accidents/misunderstandings will lead to the best outcomes. By last summer, WR3A had sold over 300,000 computer monitors. Because we communicate and share data with our end market, we have a good idea what happened to each one, why it happened, and to reduce the incidents of unintended outcomes in the future. We are "exporters" with consciences, repairmen without borders. Sale of brand new product. 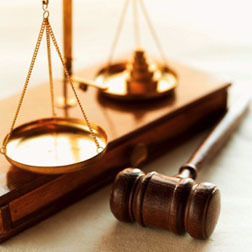 BAN has argued that a non-working part which is present in the importing country can be traced back to the shipper, and constitutes illegal movement of waste. Even if the replaced part is not discarded, having been shipped it has already a violation of the convention. Therefore, brand new computers sold to an emerging markete under warranty will also have violated laws if the goods are indeed returned under warranty. Returns of televisions and computers to Wal-Mart are approximately 10%; if it's a similar return rate overseas, then it is worse than many shipments of screen electronics for repair. And remember, any sale - of cell phones, of laptops, of satellite dishes - will someday become either a waste or an antique, and antiques only have value when they are rare. Sale of tested working product with elective upgrade. If you sell a tested working computer to a knowlegable party, they are likely to replace RAM, hard drives, power supplies and other components which work but can be improved on. In the BAN flow diagram, those electively removed parts would fail the transboundary test in the same way as parts from refurbishing. In fact, the SKD factories (a process BAN objects to) is itself an elective upgrade - those big secret factories buy tested working monitors, and they also electively choose not to SKD refurbish non-working monitors, selling them for direct reuse, according to monthly supply and demand. Manufacturer Take-Back programs. Since many of the manufacture and assembly operations - including almost 100% of display devices like monitors and televisions - are done in non-OECD countries, and it is unlikely that a manufacturer will run two separate factories (one for refurbishing and another for new assembly), the most likely outcome is shredding of display devices in country. The alternative is to consider "generation" to reflect the legal intent of the two parties to the transaction. If the records show that the buyer is accepting goods they are capable of repairing, and the shipper is removing goods that the buyer is NOT capable of repairing, and that recycling of accidental breakage, de minimus quantities of parts, takebacks and trade-ins of old pieces, can be considered "generated" by two equal parties. This Dual Party Intent recognizes the difference between Techs of Color and "primitive" burning operations. The sustainable civil contracts WR3A promotes between shipper and receiver move all operations, in the USA and in Egypt, Indonesia, Peru, Mexico, and Senegal, into responsible compliance. Interpreting the Basel Convention (which explicitly allows export for repair and reuse) to mean that the repair and reuse are nevertheless illegal (because a material is always "generated" by the primary market and never by the "secondary market") will work about as well as Prohibition, anti-gay laws, segregation, and wars on drugs. The options that BAN's stricter interpretation offers to the 3B3K market - fully functional, tested working, or new - are made with the best intentions. They do not result in zero waste across national borders. The question is, which is a bigger waste, 300,000 capacitors replaced at a manufacturer takeback program in Singapore, or 300,000 monitors thrown into a lawnmower-like machine at an "e-steward" who is scared to export monitors, even through WR3A? If BAN thinks that legal departments in the USA are mistaken to require "no intact unit" of their downstream recyclers, BAN might wanna come out and say so. We cannot put the genie back in the bottle. 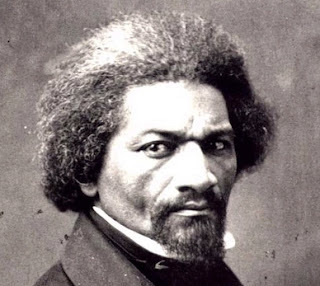 We cannot send Frederick Douglass back to Liberia. E-waste is going to be generated in developing nations, even if all sales are brand new product, or all sales are tested working. The Best Available option is Fair Trade, the informed intent of dual parties. If I am a buyer and I said I would accept English keyboards, but some are replaced in my country, I don't want to accuse you of pollution. The Best Available option is certainly not to shred working goods into raw materials - the hierarchy definitely depends on using the captured carbon and mining in a useful product for as long as possible. The Best Available options are most likely to occur when you incentivize the most talented and sophisticated techies in the developing markets. Those same talented and sophisticated Geeks of Color are more likely to perform elective refurbishment and upgrade of working parts, to design in-country recycling systems (like Samsung Corning for CRT glass washing), and to provide sustainable and economical digital access for the 3B3K market. In the long run, it will produce less waste, more working product, better costs for generating nations, and an infrastructure for the nations which are increasingly generating their own e-waste at a faster rate than they import it. A guideline to "sell fruit which is exactly the correct ripeness" might seem like it will produce less waste, but in reality, the deals grocers and farmers and shoppers make in the free market will probably succeed with Legal Dual Party Intent. I grew up in Arkansas, and have seen places here in the USA that make Kuala Lumpur look space age... let's stop pretending exports are evil. Tomorrow, Part III of Dual Party Intent.